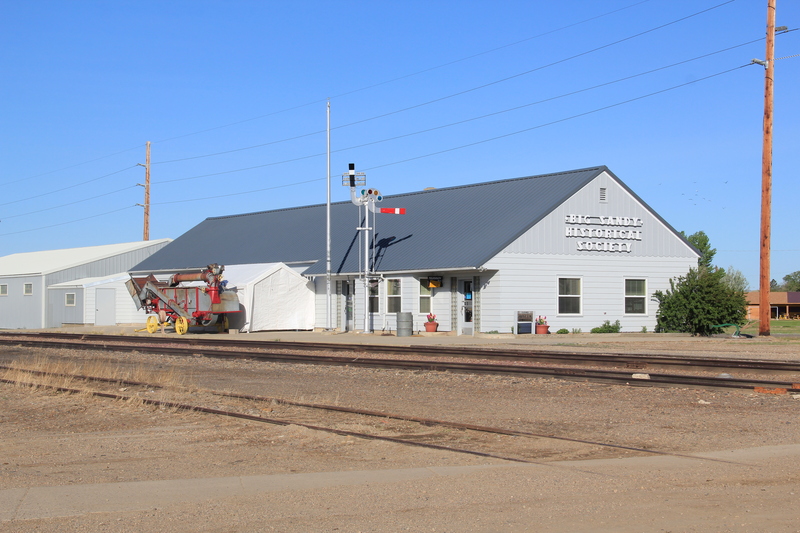 The impact of the Great Northern Railway on the settlement of northern Montana really can never be over-emphasized–its mark on the settlement landscape and later transportation routes is that important. Most travelers, and many residents, do not realize that the railroad, then named the St. Paul, Minneapolis & Manitoba, did not initially strike straight across the plains to Glacier National Park. In 1887 it turned at Havre and headed southwest towards Great Falls, creating a distinct modern landscape along Big Sandy Creek that you may still follow today. 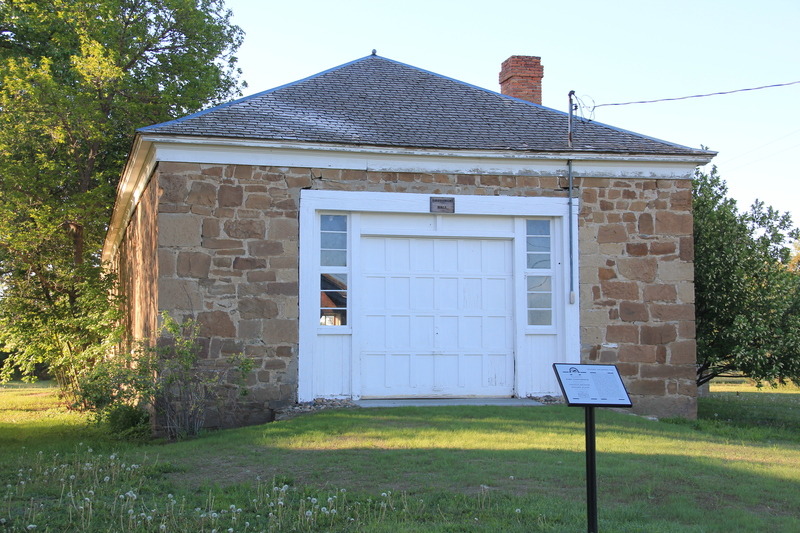 The first important stop was Fort Assinniboine, a U.S. army base established in 1879, before the first settlers arrived. 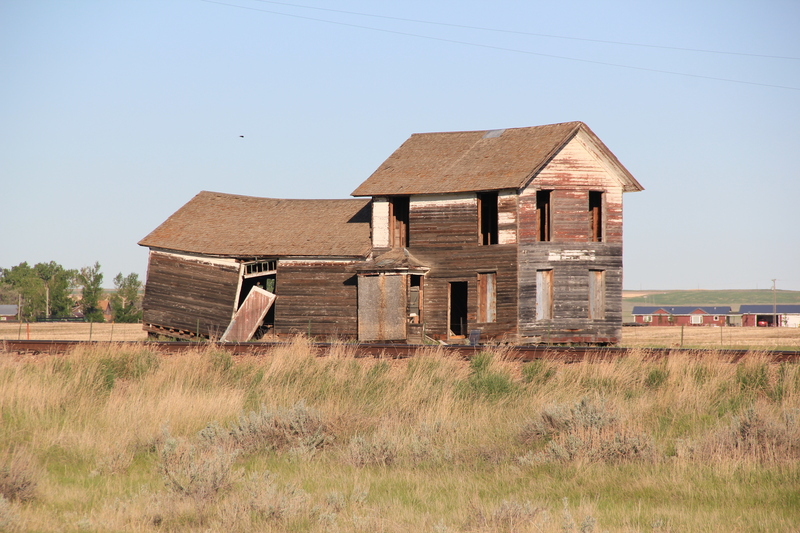 The army maintained this major base until the 1910s and later in that decade its land and buildings became the Northern Montana demonstration farm, allowing state and federally supported agricultural reformers learn and demonstrate best practices in farming techniques and crops for the region. 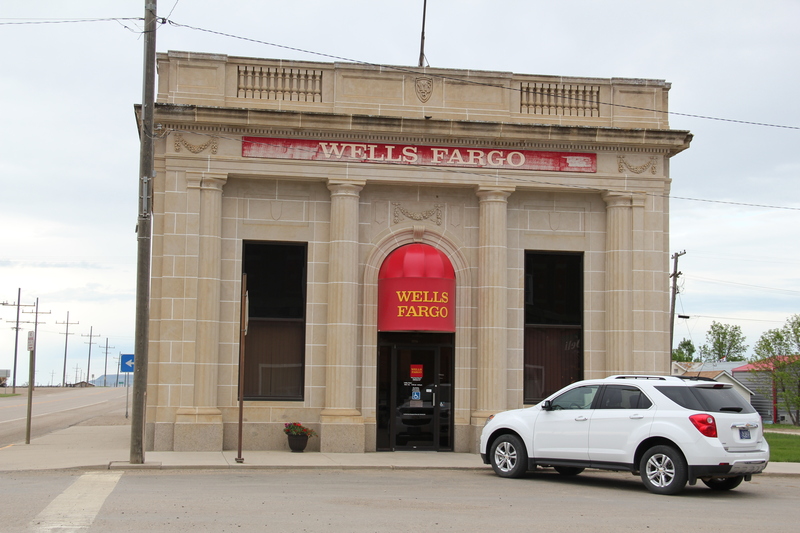 Today it remains part of the state’s extension service, which has adapted some buildings for new uses while keeping others preserved as part of the nationally significant story of the U.S. military and its occupation of the northern plains. 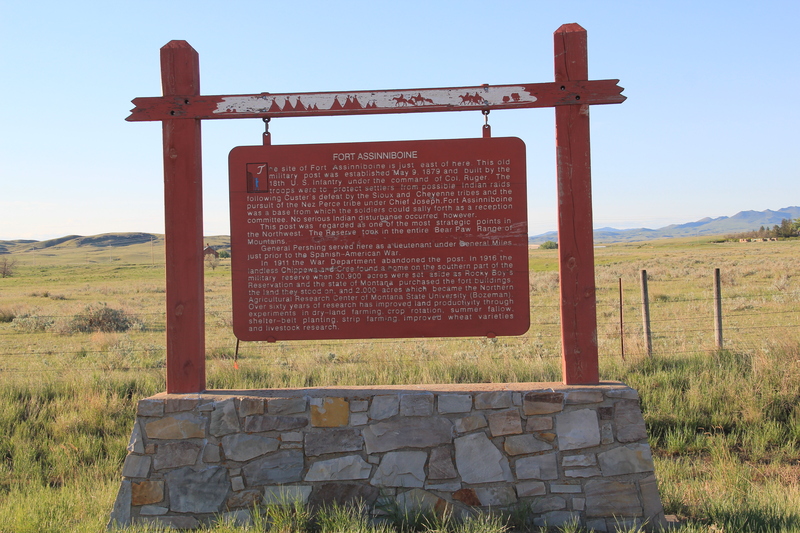 When I visited the fort site in 1984, the highway marker was the primary interpretation. 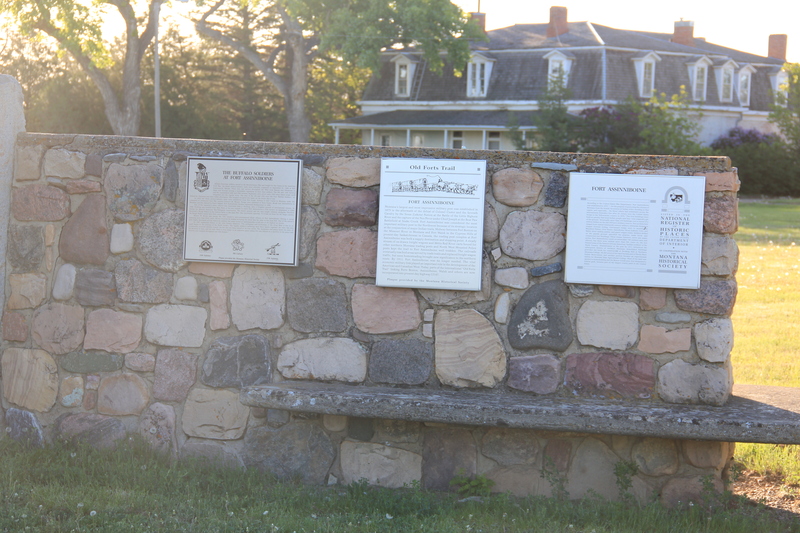 The farm’s administrators have since worked with the Montana State Historic Preservation office to locate interpretive markers outside of several buildings. Tours of the complex are also available by reservations. As part of the federal process of transforming the landscape of Big Sandy Creek, the homesteading boom left its mark everywhere in the 1910s. But also in 1916 the federal government established the Rocky Boy Indian Reservation for the Chippewa Cree. The Manitoba Road’s intersection with the reservation came at Box Elder, at the border between Hill and Chouteau counties. 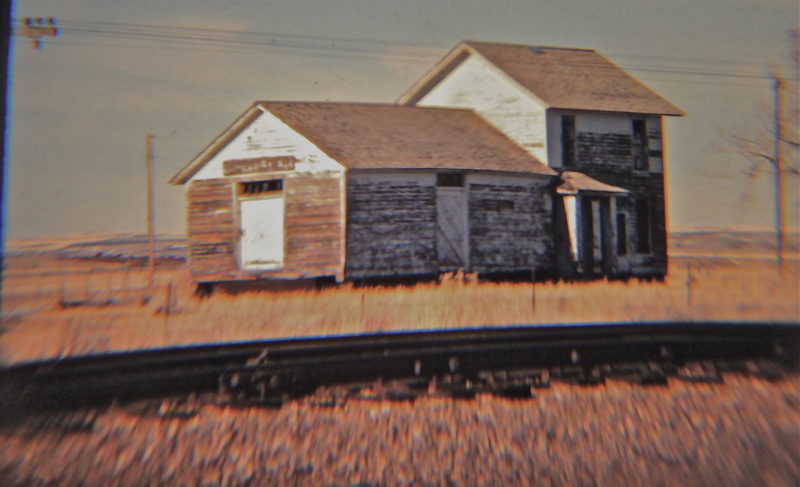 In 1984 one of the early Great Northern-era combination depot still stood at the town, although it seemed destined for destruction. Imagine my surprise in 2013 when the depot still remained, but barely so. 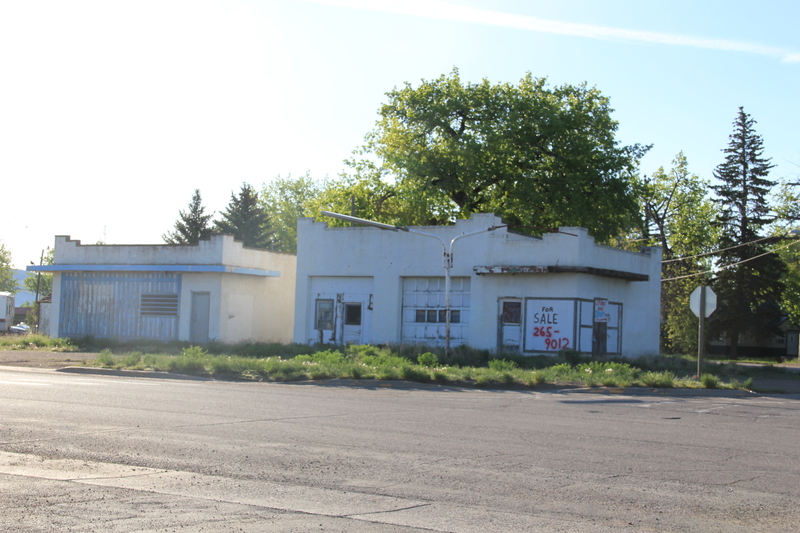 The gas station’s roadside architecture also faces an uncertain future. 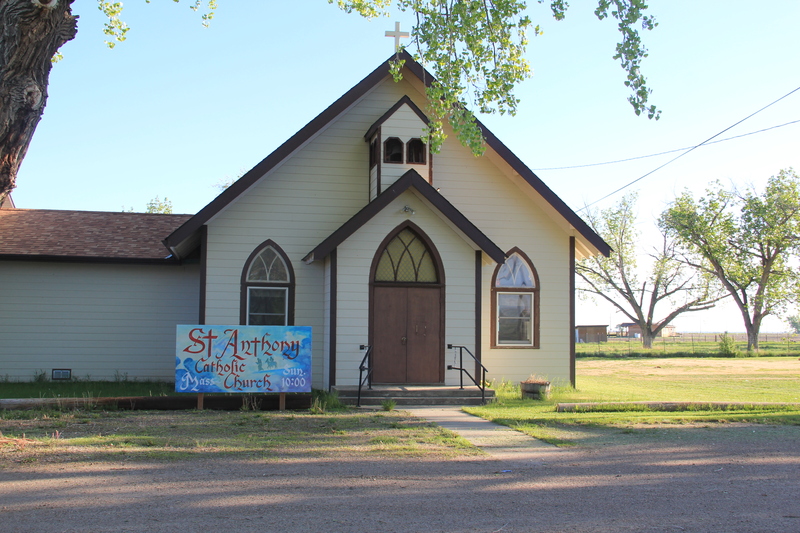 But St. Anthony’s Catholic Church remained a key landmark and along U.S. 87 in the reservation stood a new architecturally distinctive building: the Northern Wing Casino. 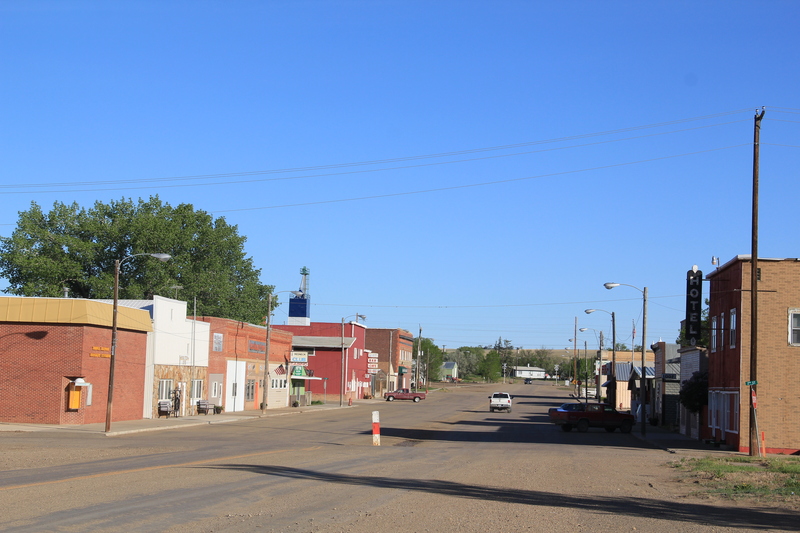 Big Sandy is easily the largest town of northern Chouteau County, a place that abounds in surprises. 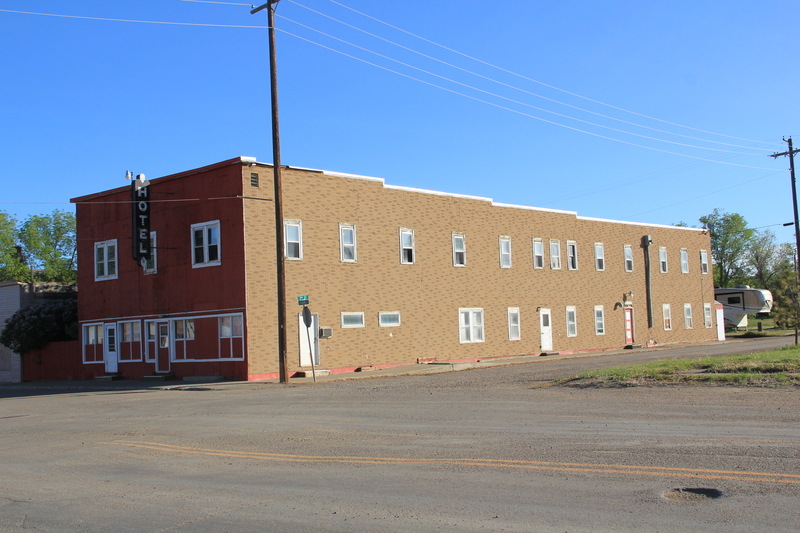 In 1984 the town’s old homesteader hotel remained, and so many other Montana towns had lost these artifacts of the early 20th century settlement. 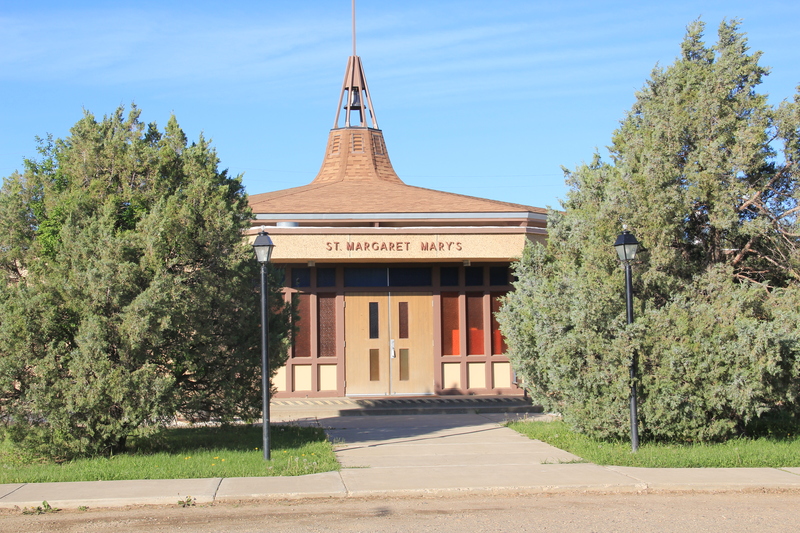 Thirty years later, the hotel remains in place, as do several other architecturally important buildings, from the Northern Monana State Bank, a vault-like neo-classical style building to the modern contemporary styling of St. Margaret Mary’s Catholic Church. 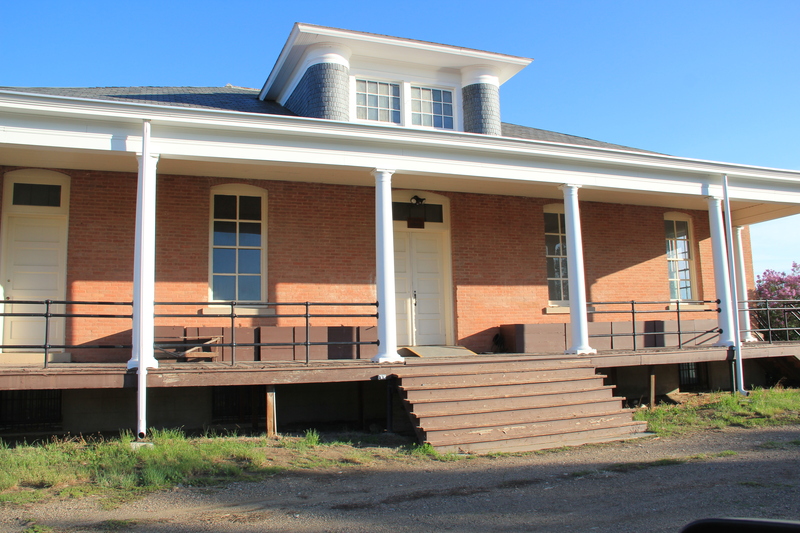 Impressive adaptive reuse projects also had taken place, with the community turning the historic Great Northern depot into a center for its historical society and museum. 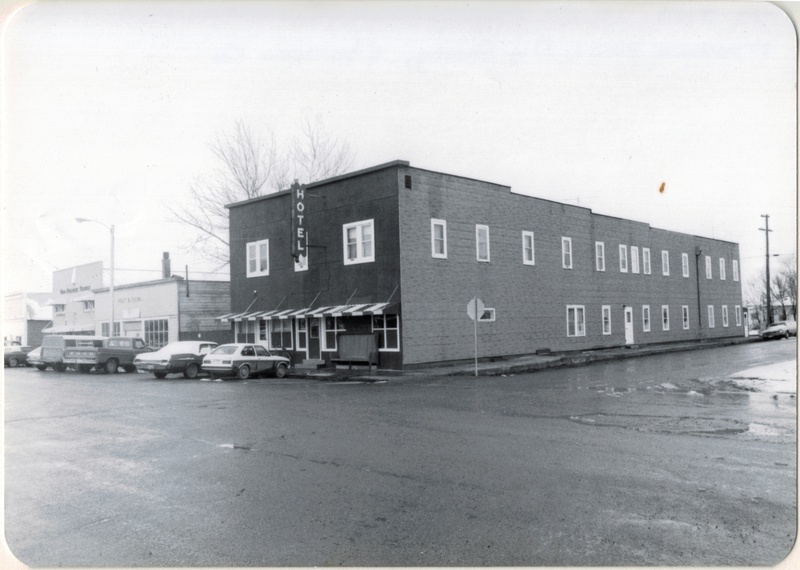 Big Sandy has a t-town plan, with its stem lined by businesses and other ventures, such as the false front Odd-Fellows Lodge or the recently established coffee shop. 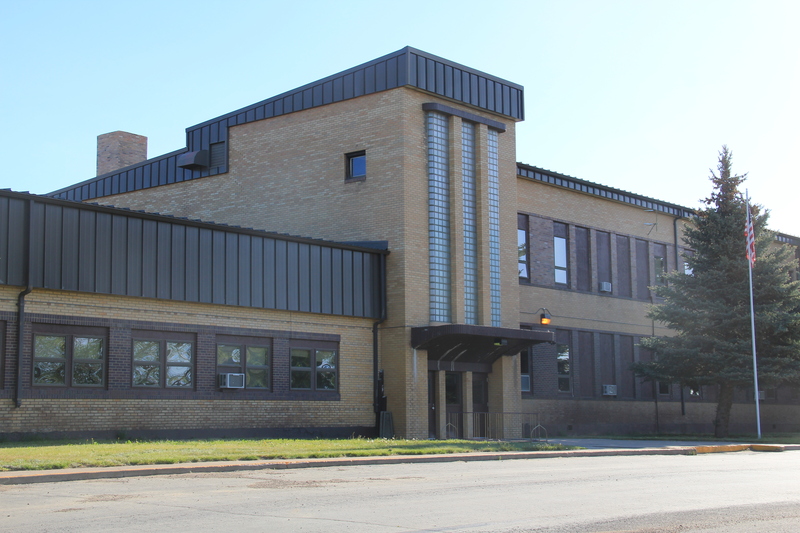 The town’s New Deal era school remained, although the building’s original International Style design was somewhat muted by a new roof and other cosmetic changes. Yet, here was the school that nurtured Jeff Ament, who moved to Seattle and gained fame as part of the internationally significant band, Pearl Jam. 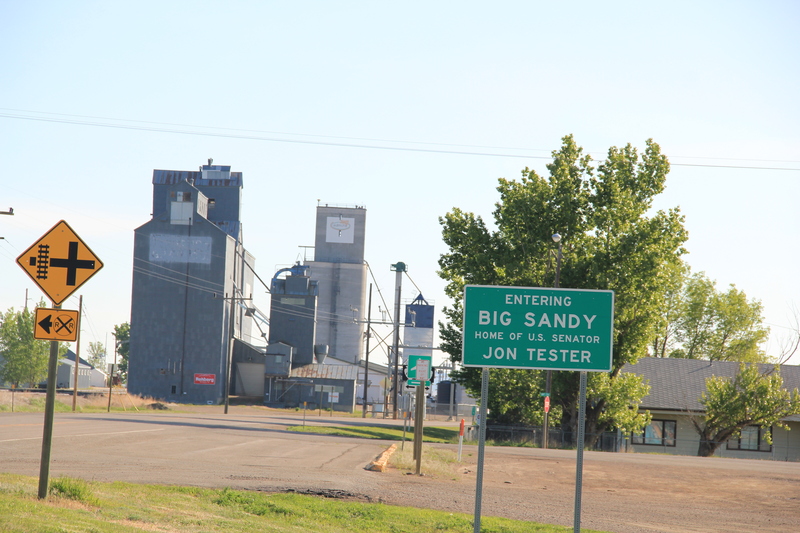 Big Sandy has steadily lost population since 1984–600 people remained in the 2010 census–but key landmarks remain standing and in use. Impressive. 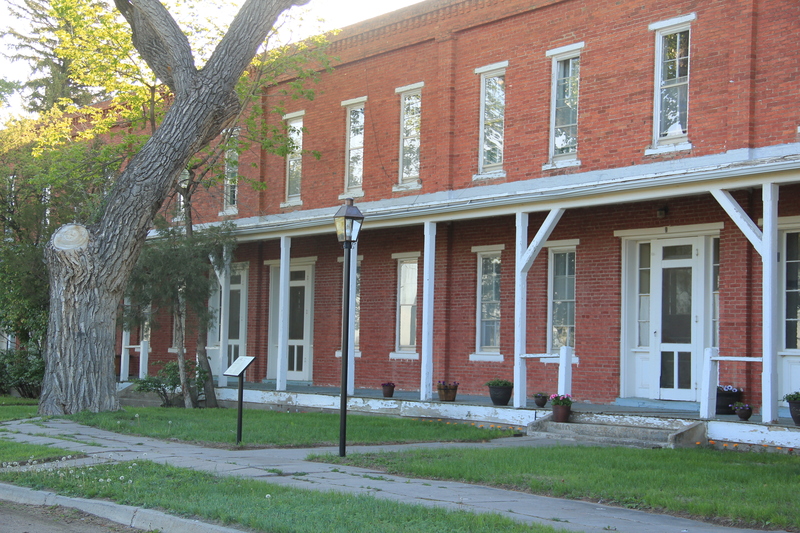 The days of the Manitoba Road are long gone but this early railroad town still makes a powerful historical statement. 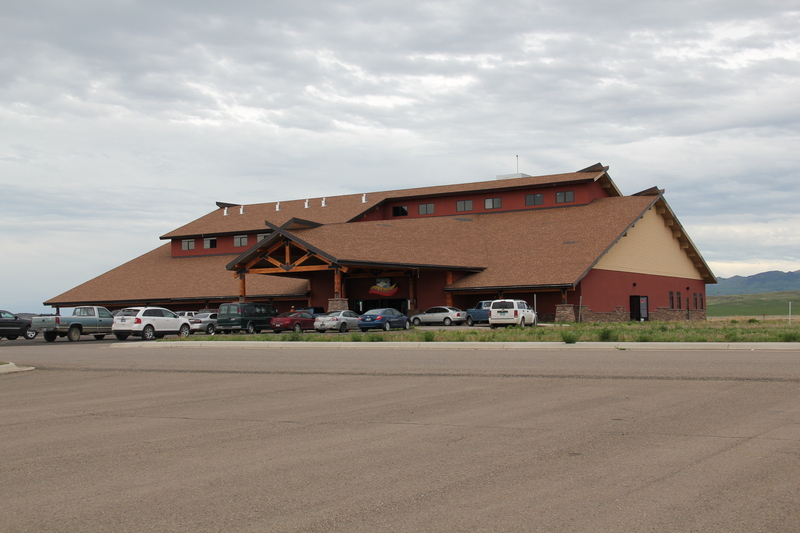 This entry was posted in Uncategorized and tagged Big Sandy Montana, Box Elder Montana, casinos, Chouteau County, contemporary style, Fort Assinniboine, Great Northern Railway, International style, Jeff Ament, Manitoba Road, Montana churches, Montana schools, roadside architecture, Rocky Boy Reservation, US 87 by carrollvanwest. Bookmark the permalink.